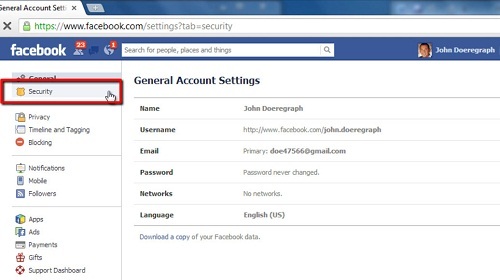 In this tutorial you will learn how to set Facebook to use https. First make sure you are logged into your Facebook account. After that click on the icon that is furthest to the right from your name – the small gear icon. Click on it and a drop down menu will appear. In that menu choose an option called “Account Settings” and click on it. You can also choose “Privacy Settings”. Now look to the left of your screen and you will see various tabs. Click on the “Security” which is located just under the “General” option. After you click “Security”, new options will appear in the middle of the page. Look for the option called “Secure Browsing” and click on it. 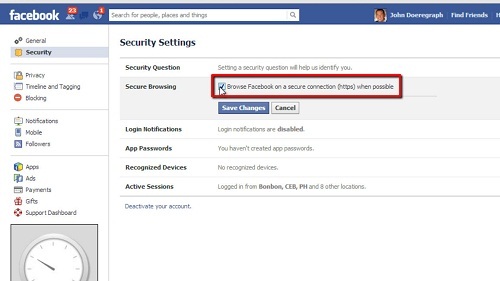 Then when it opens you will have a tick box with an option saying “Browse Facebook on a secure connection (https) when possible” and check that tick box. 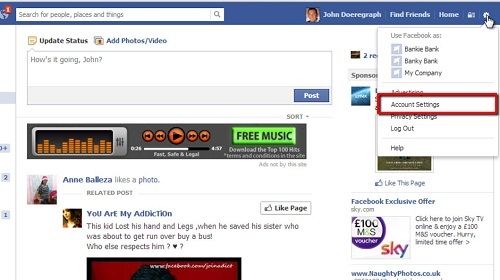 After that click the “Save Changes” button just underneath it and that is how to set Facebook to use https.